HI! I M TURKEY. I M A TEACHER OF ENGLISH. MAKING THE CLASSROOM A SUITABLE PLACE FOR LEARNING ENGLISH IS MY AMBITION. 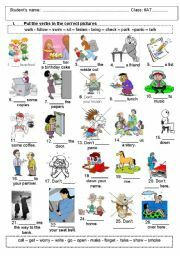 I used this worksheet to review vocabulary and the imperatives. Hope it will help you in some ways. 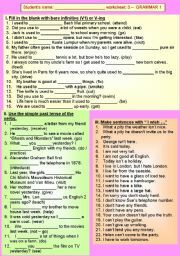 INTERESTING WORKSHEET TO PRACTICE PRESENT CONTINUOUS TENSE. HOPE THIS MINIBOOK WILL BE USEFUL! 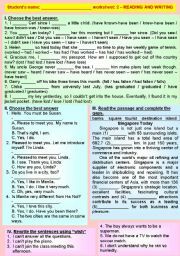 GRAMMAR ON "USED TO" - SIMPLE PAST - "I WISH"
MORE EXERCISES ON SIMPLE PAST, "USED TO" AND "I WISH"
READING AND WRITING WITH "I WISH"
MORE EXERCISES ON READING AND WRITING. 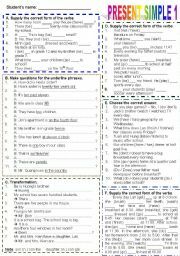 STUDENTS HAVE TO PUT THE NONCOUNT NOUNS INTO THEIR CORRECT COLUMNS AT THE BOTTOM OF THE SHEET. 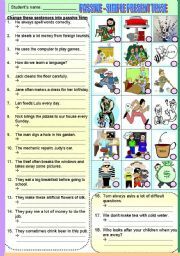 EXERCISES ON PRESENT SIMPLE. HOPE YOU�LL ENJOY IT. 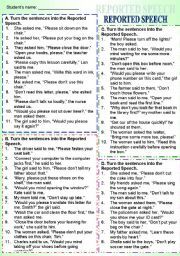 MORE EXERCISES ON REPORTED SPEECH. 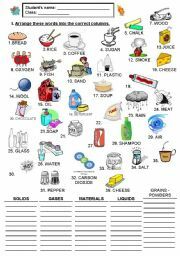 HOPE IT�S HELPFUL!